Last year, after the San Antonio Spurs eliminated them in the conference semifinals, Forbes had the Houston Rockets listed at 30-1 odds to win the 2017-2018 NBA championship. Thirteen days later, the Rockets traded Lou Williams (an instant scorer off the bench), a future first round draft pick and spare parts to the Los Angeles Clippers for Chris Paul. The move was definitely risky. James Harden had somehow become even more ball-dominate after embracing Coach Mike D’Antoni’s challenge to take over at point. What would happen with the addition of Paul, a player who controlled the basketball his entire career? Ten months later, Houston is going to finish the regular season with the best record in basketball and Harden is the favorite to win MVP. Paul adjusted effortlessly; ceding some of the control that previously defined his game, all while putting up numbers equal to his career averages. Still, the Rockets have their doubters. A quick survey of the Las Vegas makers shows that the Golden State Warriors are the favorites. Now, Vegas definitely see the Rockets as contenders, with odds as high as 9-5 that they will win it all. However, simply being good enough to beat the Warriors and Cavs was not why this team was constructed. Rather, this team was put together to be the clear favorites and everything about the regular season screams that this is the absolute, undeniable truth, one made of three parts. This is the most obvious truth. Anyone with Houston Rockets tickets this season can attest to this. Harden and Paul can and will torment the opposition on pick and rolls, but both are equally adept breaking down their defenders in isolation and driving to the protected area. Having two superstar point guards available means D’Antoni can keep his offense rolling for the full 48 minutes, never giving the opposition a chance to rest on defense. All that is required to make this team deadly is to make sure there are a couple of players on the floor with range. Guess what? Houston has plenty of three-point shooters available, in the starting lineup and coming off the bench. The hidden truth is that the Rockets are actually a superb defensive team. They allow 104 points per game, which is tied for the fifth-fewest of the 16 playoff teams. Houston is able to do this by starting a couple of solid 3 and D players at the forward spots, Trevor Ariza and PJ Tucker. Both players are able to switch and clamp down on perimeter defense, as well shoot a respectable 37 percent from beyond the arc. Add the rim protection of DeAndre Jordan-clone Clint Capela, the ever-pesky hands of Chris Paul and the improved defense of James Harden and this team is going to shut most teams down (as they did during the regular season). This is the last and most important truth. The big names have accomplished incredible things, but anything short of a championship in sports means history will discuss you like you have an asterisk next to your name. James Harden has failed to win a championship playing with Kevin Durant and Russell Westbrook in Oklahoma City and after Houston signed Dwight Howard. Chris Paul failed to win with Lob City and, in the end his competitive drive ostracized him from his teammates. Mike D’Antoni entertained the league with Seven Seconds or Less, but he failed to reach a championship and his offensive philosophy is mostly remembered as a fun side show rather than a real winning strategy. 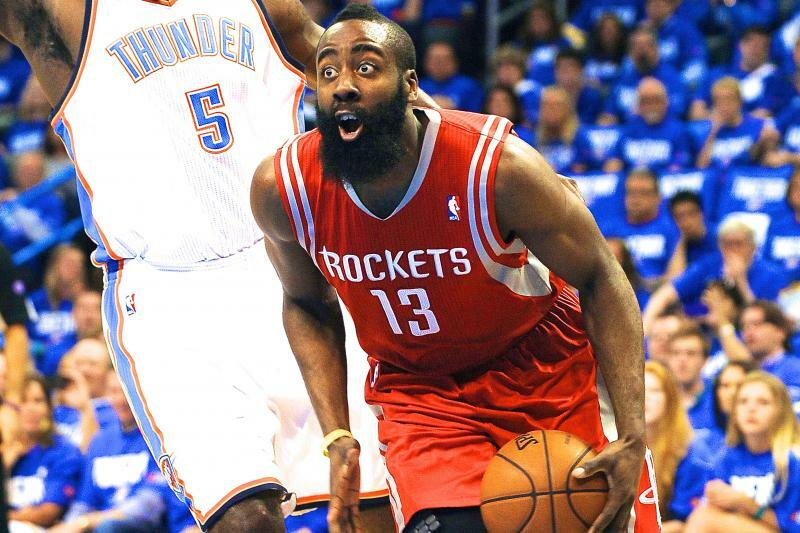 Of course, there are more Rockets’ players with something to prove, but the point is the same. The 2018 NBA playoffs is chance to redeem previous failings and redefine legacies. Luckily, if you combine a great offense, a smothering defense and a very personal motivation, you can produce a champion. ©2018 AnyTickets LLC. All rights reserved.